Why Are Hydrangeas Different Colors? The iconic blue color of hydrangeas is a favorite among gardens and gardeners alike, but it isn’t the only color they come in. If you’ve seen a pink flower here or there, you aren’t going crazy. 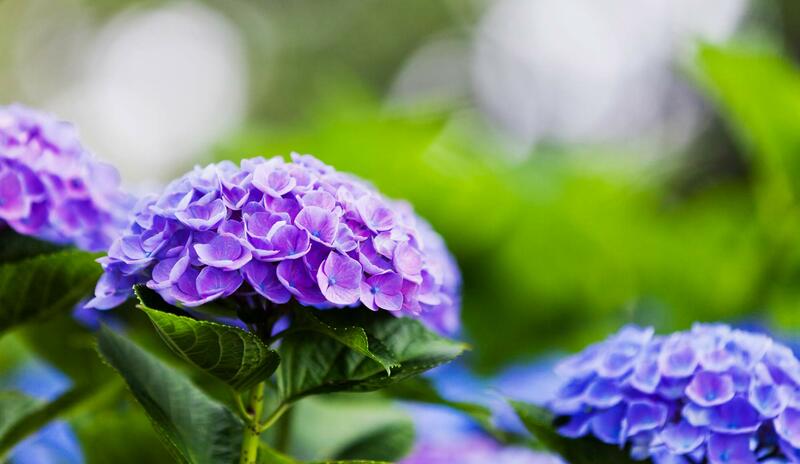 In fact, you can change a hydrangeas’ color in your own backyard! There’s a reason for the variation of colors in hydrangeas, and the cause begins deep underground. What changes a hydrangeas’ color? Hydrangeas change color based on the pH level of their soil. If the soil is more alkaline, the flowers will become more pink over time. If the soil is more acidic, they will remain blue. How can I change my hydrangeas’ color? To make your blue flowers more pink or your pink flowers more blue, you need to change the acidity of the soil. Changing the pH of the soil is as easy as adding coffee grounds or a ground up citrus peel. Make sure to work this mixture into the soil around the base of the hydrangea plants. How can I maintain the acidity of the soil? If you want your flowers to remain that beautiful blue or pale pink, the upkeep is easy. For blue flowers, simply fill a bowl with coffee grounds, orange peels, or even crushed egg shells. Keep the bowl in the kitchen and once it is full, bring it outside to feed the hydrangeas. For pink flowers, keep the soil more alkaline by adding Garden Lime. Following these steps will ensure that your hydrangeas maintain their gorgeous color while in bloom!